I am officially starting my Indonesia Series with one funny account. 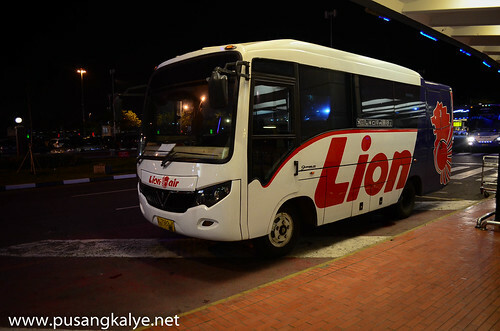 We left Manila 9pm and arrived In Jakarta five minutes before midnight. There is an hour difference between Manila and Jakarta with the former being one hour ahead, meaning, the flight took almost four hours. I usually research 75% of essential information for peace of mind and leave 25% to chance so as to leave a little challenge and excitement. One of those I didn't research is how to transfer from the terminal 2 (International) to terminal 1 (domestic). Terminal 2 (International) is very near Terminal 1 (domestic) .I reckon they are only 3 kilometers apart. Given the winding road though, it would be around 4 kms. That's still short distance but the taxi wanted to charge us 150,000 Rp (50,000 Rp each). Gad! We only paid 110,000 Rupiah from Central Jakarta to the airport on our flight back to Manila. Rip off! We gladly declined. There are FREE shuttles between two terminals. All you need to do is exit immigration, exit the airport building, go to the 2nd floor, then look for the "Shuttle Waiting Area". These shuttles are supposed to be operational 24/7 but they can unofficially cancel services for a few hours starting midnight. In Indonesia, they have a lot of what they call "unofficial" according to one local we talked to. Many people will try to scam you the moment you get out of the terminal door. Taxi drivers offering outrageously expensive fares, people who will offer to change you dollars to local currency and janitors who will demand for tip when you ask them for directions. We did ask one janitor where the waiting area for terminal 2 is and despite us dismissing he him that we are already okay after saying our thank you's he kept following us in the elevator and all over. When we are about to leave for terminal 1, he insistently demanded that we give him at least a dollar. One buck wouldn't hurt but it was demanded of us as if is a matter of responsibility to pay him for assisting us for directions that we furiously said "no" to him. There is a TOURIST INFORMATION BOOTH just outside Terminal 2. That is where you want to ask for help on directions and other stuff if you want a reliable answer. We asked a guard stationed at one of the gates of the airport first and he couldn't speak English so a taxi driver with a bunch of cash on his pocket tried to assist us. 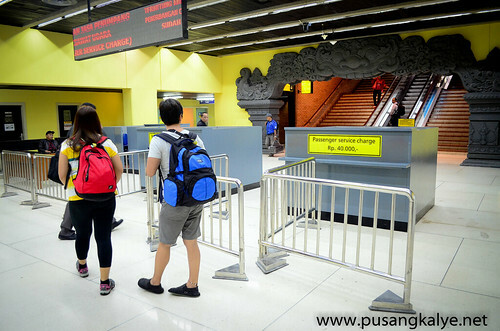 He was also the one who offered taxi to terminal 1 for 150,000 Rupiah. Can't be trusted. We asked for directions from the tourist assistance booth of terminal two and that's when things got a little easier. Locals can hardly communicate in English so asking for directions could be a painful experience. We told the lady at the assistance desk that we don't have local currency yet so we might as well wait for the free shuttle transfer. 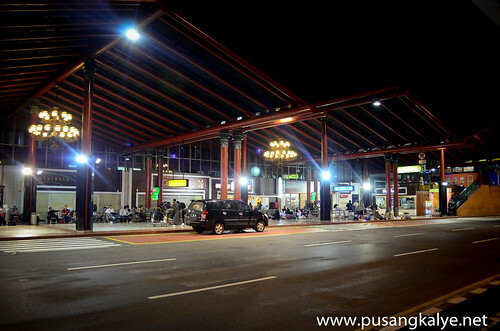 Unfortunately, the 1st trip starts 5am and our flight to Jogjakarta was supposed to be 5:55am. Too late. We inquired if is possible to walk to terminal 1. She said "yes", categorically yes. We followed the directions she gave but we got lost just a few yards away from the terminal. Haha! Fortunately, I saw a young local who was on his way home from work at the airport. It was from him the idea of "unofficial" came from. We ended up crossing the highway once, walking through the dark sidewalk, then crossed a creek towards the compound of a government building. We walked through the dark as if we were to sneak into a property and steal. And we were enjoying it. I don't know what got into us but we were in the mood to go for a little walk. I guess it's because we know there is no need to hurry and therefore pay for 150,000 Rupiah for an airport terminal only 3 kms away. It was our first taste of local hospitality. The young guy who invited us to walk with him as he is going the same direction was trustworthy. Halfway through between the two terminal, the young Indonesian guy said he has to take another direction so he pointed the way to us. 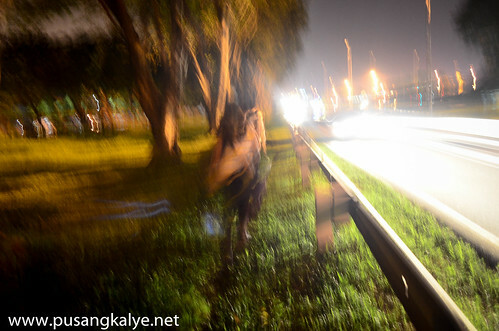 The streets are brightly lighted but it requires us crossing several times with cars passing through at highway speed. This is not something I can suggest to anybody. While about to finish giving us the directions, a police patrol passed by. The police asked him something and he talked back to them in Indonesian. The police signaled us to hop in. 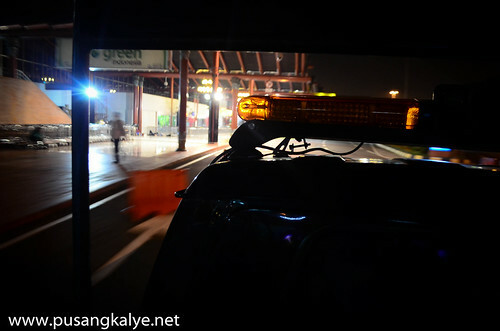 In short, we ended up in the back of a patrol car on its way to terminal 1. We bid goodbye to the young man and said our thank you. The police in the patrol were also nice. One of them made an effort to talk to us. In simple English, we exchanged pleasantries. A few minutes later and we were in the domestic airport building and we again said thank you. Terminal 1 looks rather old and poorly managed. We arrived at around 2:00 AM and the check-in counters were still with no people. The place looks tired and there are no chairs to sit in and nobody who to talk to in decent English. We waited for almost an hour standing while waiting for the check in counter to open. I barely had 3 hours sleep before flying in and I thought I could at least nap at the airport while waiting for our 6 am flight to Yogyakarta. 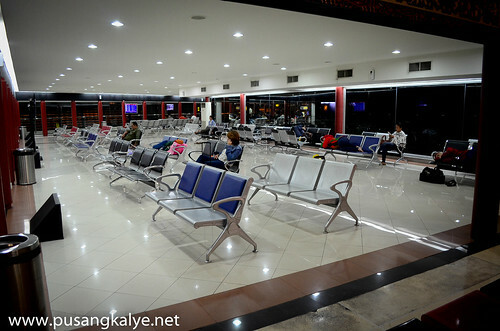 Looks like NAIA 1 being the worst airport in the world for travelers sleeping in airports has a serious contender. People were seated on the floor all over the place while waiting for the counters. We were still out of local currency because we didn't exchange our dollars in Terminal 2. Well I thought we can exchange a small amount in terminal 1 just enough to cover the 40,000 Rupiah per pax for the "passenger service charge". Yes, they call it such so don't ask for "terminal fee". I did and almost regretted it. I quipped, "do we still have to pay for the terminal fee? ", she thought I was asking "terminal three" so she kept saying there's only terminal 1 and 2. No three. I ended up wrting "fee"in a paper and it took a few seconds for them to figure it out. Ahaha! Sakit sa bangs! 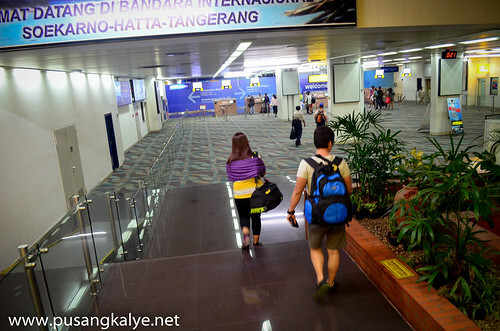 Luckily, we met two Filipinos on their way to Manado for a business trip. Imagine, they had to fly to Jakarta for four hours then fly back for another three hours to Manado which is almost near Mindanao. At any rate, they were our lifesaver, it was a relief to have somebody to talk to normally without the need for body language. Without them, it would have been a pain how to pay for the passenger service charge and our meal too. 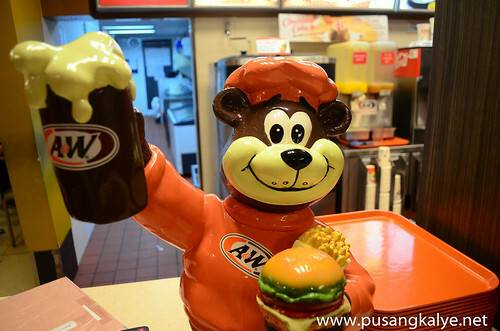 Once through check in, we saw an A&W fast food chain which delighted our newfound buddies and our friend Rupert. The classic root beer float Rupert explains. " 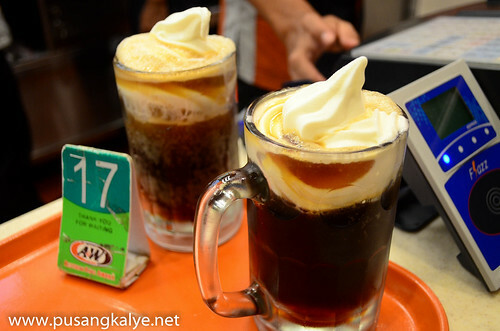 They pioneered root beer float" he added.Yes, I suddenly remember, there used to be A&W in the Philippines. It has long gone but I noticed many stores in Indonesia. 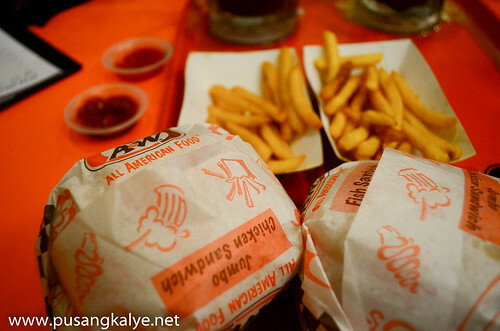 In here, A&W is very alive! Terminal 1 looks outdated and tired in the check-in area but inside is a different story. The design incorporating Indonesian art motifs is noticeable. It therefore has an appeal that is uniquely Indonesian. This is a complete contrast from the state of the check in area. I have to retract my earlier statement therefore that NAIA 1 has a contender for the worst airport. haha! This will be part of my INDONESIA SERIES which will be a multi-post detailed narration of our 4-day Jakarta-Jogjakarta Trip in January.